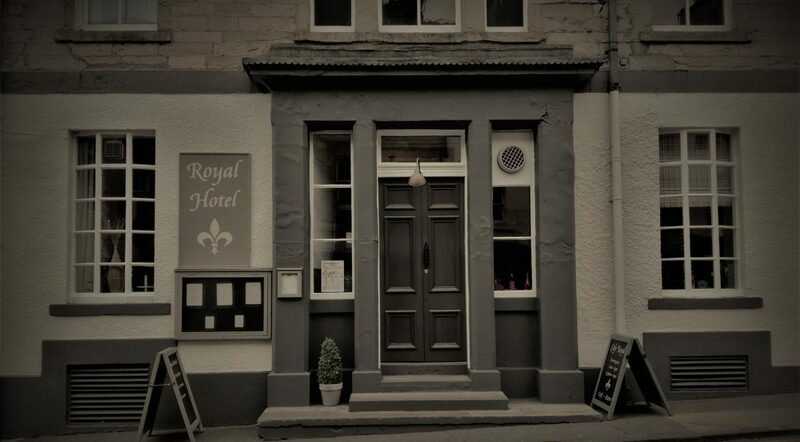 Originally a 19th century coaching inn, the Royal Hotel has been welcoming visitors to Jedburgh for almost 200 years – home to the world famous Jedburgh Abbey, Mary Queen of Scots House and Jedburgh Castle Jail. Looking for comfortable accommodation in Jedburgh? The Royal Hotel offers double and twin rooms. All rooms offer en-suite bathrooms, flat screen TV and tea / coffee making facilities. Enjoy food and drink in our Cafe Royal Bistro, offering delicious food with a Scottish flavour from locally sourced ingredients. Browse our sample evening menu.